Cinnaire, a non-profit CDFI that provides creative loans, investments and development services, recently provided an $11.5 million New Markets Tax Credit (NMTC) allocation to support the new construction of a 350,000 square foot, state-of-the-art manufacturing facility for EJ Group, Inc. (formerly known as East Jordan Iron Works). EJ is a leader in designing, manufacturing and distributing access solutions for the infrastructure systems of municipalities, utility companies, private companies, airport and port authorities. Products include manhole covers and frames, catch basin and curb inlet grates and frames, trench grates, tree grates, and fire hydrants, as well as fabricated and composite products. EJ Group has designed and delivered products for infrastructure systems in cities big and small throughout the world. EJ was established in East Jordan, located in Northern Michigan in 1883 by the Malpass family and remains family owned, with fourth and fifth generation family members actively involved in the business. Although the company has an established global presence, the Malpass family has stayed true to their Northern Michigan roots. In addition to their commitment to preserving jobs in their hometown, they also established the Malpass Foundation, which has supported local projects in East Jordan such as a combination EMS and fire station, the police station, the high school football field and track, and local public pool. For nearly 135 years, EJ has been one of the prominent employers in the small town of East Jordan. The new foundry site, just 14 miles east of the original location, has allowed EJ to start the construction for a new foundry, with state-of-the-art equipment and technology, while still preserving 350 jobs which will transfer from their current foundry to the new foundry. They have successfully created a culture of loyal, dedicated and passionate employees, who often volunteer their time and energy in the community to help make Northern Michigan a vibrant place to live, work and play. 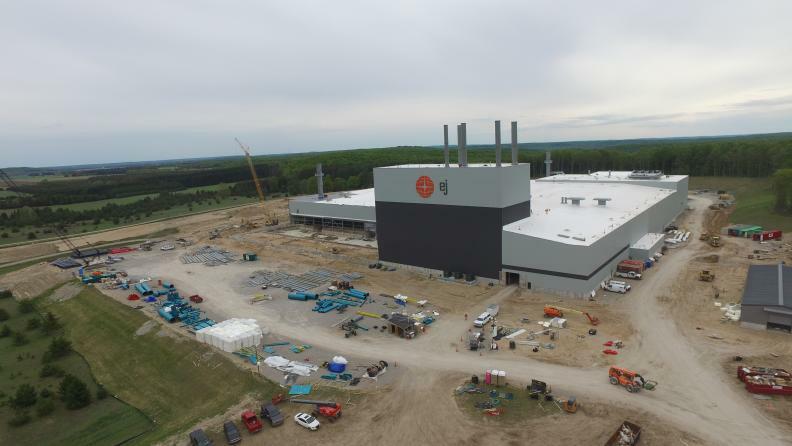 Cinnaire’s NMTC allocation in the new facility allowed EJ to continue to leverage their substantial economic impact in the area while upgrading to a new foundry. The $125 million new facility will customize operations with the most up-to-date global manufacturing technologies, better meeting the needs of customers, vendors and distributors. The original foundry sources fossil fuels to provide the necessary energy to melt iron and steel for the products, while the new foundry will use electric melt, allowing for a reduced environmental footprint.